SAN JOSE, Calif., October 14, 2008 - Cisco today announced the winner of the Cisco® I-Prize innovation contest, a global competition to help identify a major new business opportunity for Cisco. The winning team, based in Germany and Russia, presented Cisco with a business plan that improves energy efficiency by taking advantage of Cisco's leadership in Internet Protocol (IP) technology. Based in two countries, the team relied on Cisco's collaboration portfolio of Cisco TelePresence, Cisco Unified Communications and the new Cisco WebEx® Connect application platform, to brainstorm their initial idea, collaborate on the business plan, and virtually present their idea to Cisco. The Cisco I-Prize contest was launched during the opening of Cisco's Globalization Center in Bangalore, India, in October 2007. 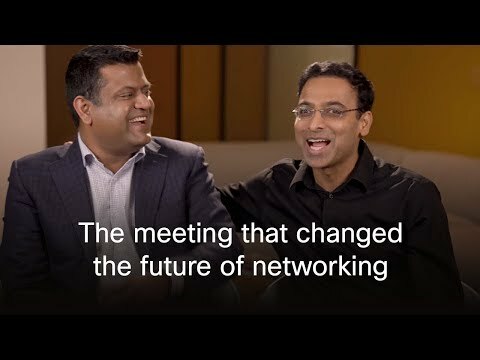 The contest invited entrepreneurs from all over the world to join a collaborative online forum where they could brainstorm and comment on innovative business and technology ideas, form teams, and draft business plans for a chance to join Cisco and help develop their new business idea. Within the first three months of its introduction, the contest attracted more than 2,500 entrepreneurs from 104 countries. The winning team was led by Anna Gossen, a computer science student at the Karlsruhe University in Germany. With the help of Niels Gossen, a computer science student at the University of Applied Sciences in Germany, and Sergey Bessonnitsyn, a systems engineer from Russia, the team is eligible to receive US$250,000 in cash to be equally shared among the team members. The team may also be considered for opportunities to join Cisco. "The Cisco I-Prize contest gave us a platform to build out our idea, develop an executable business and technology plan, and receive valuable feedback from respected innovators and industry leaders. The experience has been invaluable," said Anna Gossen. "We're excited to continue working with Cisco to evolve our idea into a real business opportunity for the company and help develop a new wave of technology leadership in improving energy efficiencies." The winning team proposed an approach to using the network as the platform for visibility, manageability and, ultimately, optimized control of energy-consuming systems. The winning business plan was notable for its combination of technology and business model innovation. "One of the missions of the Cisco I-Prize was to harness innovation and talent on a global scale by using collaborative tools to help brainstorm new ideas and move them from initial concept to a viable business opportunity," said Marthin De Beer, senior vice president of Cisco's Emerging Technologies Group. "Collaboration is transforming the way we innovate. The Cisco I-Prize is a real-world example of how new technologies are breaking down the traditional barriers of innovation and creating a world forum for exchanging new ideas." Entries were evaluated in much the same way that Cisco assesses internal business ideas for its Emerging Technologies Group, which is home to ventures such as Cisco TelePresence, Cisco Digital Signage and Cisco Physical Security. Judges considered both the technological innovation as well as the business opportunity, hoping to identify an idea that has the potential to achieve at least US$1 billion revenue to Cisco over a five- to seven-year period.